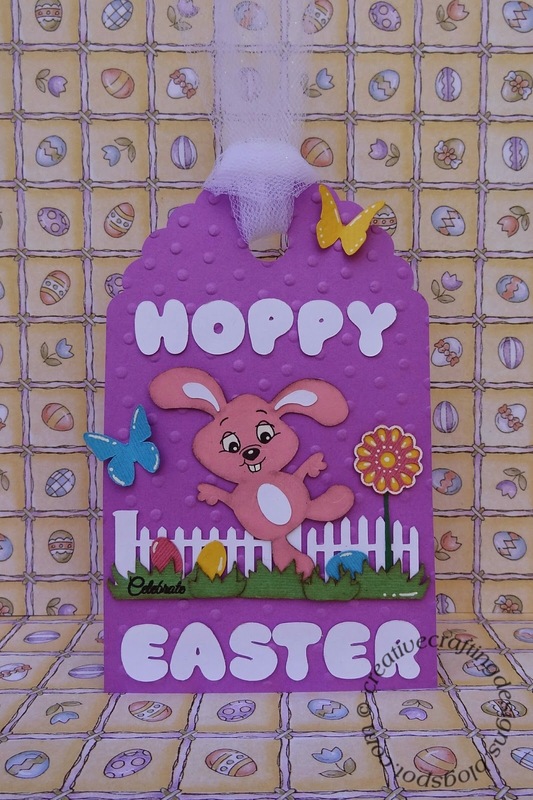 Happy Saturday my crafty friends, isn’t this joyful bunny just the cutest? To make this darling tag, I first cut the scalloped tag out with my Cricut Explore. I got the file from the design space image library (Tags, Bags, Boxes & More Cartridge). The tag had two layers, the top had a butterfly, I ungrouped the tag and deleted the one with the butterfly, leaving me with a plain scalloped tag. I then embossed the tag using the Darice Dot background embossing folder (item # 1217-67). Next, I cut out everything else uses dies from My Treasured Kutz (dies listed below). After all pieces were cut I calked some of them to add texture and used a white gel pen to add a little detail. To add the adorable face to the joyful bunny I used Peachy Keen Wide Eyed and Bushy Tailed Face Assortment Stamps set (item # PK-757) The stamp size I chose to use on the bunny was 3/4″. After I stamped the face, I colored the eyes and teeth in using a white gel pen. 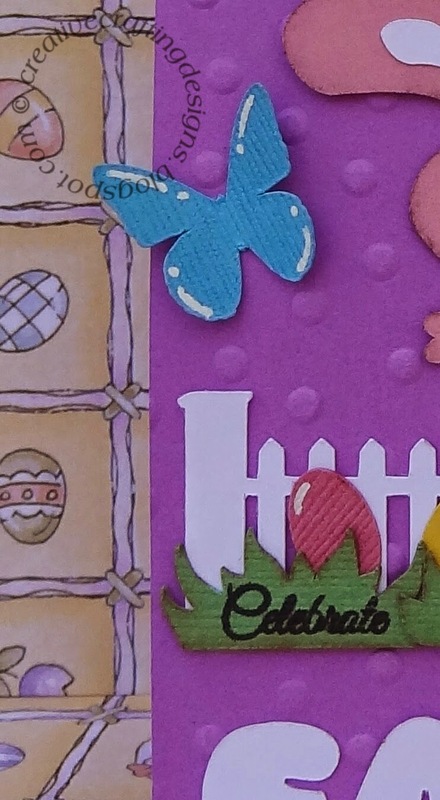 After attaching all pieces to my tag, I add the word Celebrate to the grass using Jaded Blossom Simple Sayings Candies stamp set. I love this stamp set because the words are so small that they work wonderfully to add that little something extra to any craft project. Now, the Candies stamp sets have a circle around the words (I only wanted to stamp the word), so I used a stamp marker to color only the word Celebrate then stamped it on my project. I finished it up by tying a piece of white glitter tulle to the top of the tag.